Russian-born musician Andrey Antonenko graduated from M.P. Mussorgsky College of Music, specializing in the accordion. Antonenko started playing the tuba while performing compulsory military service at the Orchestra of St. Petersburg Artillery Cadet Corps. After this, he continued his service at the Orchestra of M.V. Frunze Higher Marine Academy as staff tuba player and orchestra soloist. 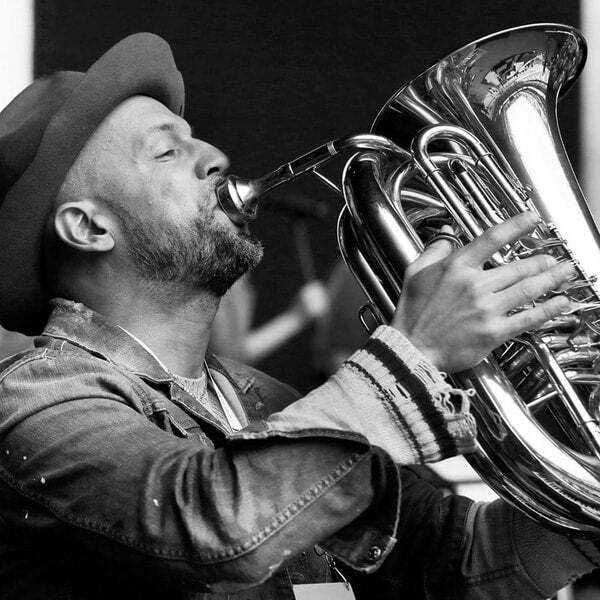 In 1997, he became one of the founding members of the Leningrad band; maintaining his place in the band to this present day as co-arranger, playing the keyboard, and tuba. After long and tantalizing search, I have ultimately found the instrument which is 1000% suitable and reliable for me: Bbb Travel Tuba ‘Mighty Midget’. I play around 100 shows a year, and we frequently have studio recording sessions, which require a lot of travelling and transportation. It is extremely convenient to put the instrument into my Pelican travel case and take everything easily.